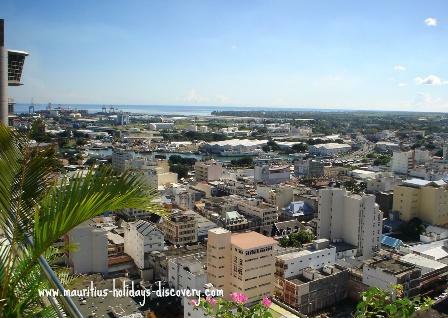 Mauritius, known as Isle de France under the French colonial administration, owe much to its development during that period from the vision of the then French governor Mahé de La Bourdonnais. Unlike all his preceding counterparts who administered Isle de France during the French settlement, the governor really set the dynamics to transform the colony into a viable and sustainable one. By doing so he outstandingly demarked the French colonisation of Mauritius from the Dutch who inadvertently discovered and later colonised the island before eventually abandoning it for good. Bertrand François Mahé de La Bourdonnais born in St. Malo, Brittany, France arrived in the island on 4 June 1735. He was nominated by the Compagnie des Indes - the vassal of the King of France - to replace Governor Maupin. Though he had very elementary schooling he was a prosperous trader and highly ranked as an eminent sailor and soldier. He was also an engineer in shipbuilding and in the construction of forts. As soon as he assumed tenure of office Mahé de La Bourdonnais instituted military discipline to curb rebellions among white settlers and slaves alike. Two French soldiers, caught after leaving the island illegally, were sentenced to death. Many slaves were enrolled in the military, a job hitherto reserved to Europeans. They wore uniforms and were remunerated. Some among them were assigned jobs as fugitive-slaves hunters. They worked side by side with the colonists to defeat the marooned slaves who took refuge in the forests and from where they frequently launched assaults against the French settlers. These expeditions were so successful that the population of runaways sharply dropped and no longer constituted a serious threat to the stability and existence of the colony. Mahé de La Bourdonnais also introduced the notion of free enterprise and work for profit. All inhabitants of Isle de France – colonists, slaves and workers, were motivated to become entrepreneurs and fructify the economy. The governor himself founded many companies and provided shareholding capital in others. Slaves who did not join the military were intensely trained in shipbuilding, masonry, stone-cutting and construction. To reinforce the local team, specialized workers were recruited from Pondicherry, India. Additional slaves were brought in from Goa-India, Madagascar, Mozambique and other regions of Africa to boost the development of Isle de France. Geared in that direction by Mahé de La Bourdonnais, the colony was very soon stable and flourishing. His success did not stop there. He invented a system for the production of chicken; issued notes which were negotiable like money and which were used in most transactions and successfully launched sugar production on a commercial scale. 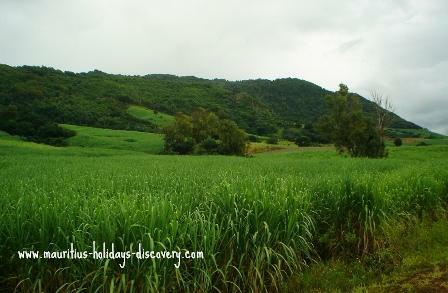 At that time sugarcane,which was introduced by the Dutch during their colonisation of Mauritius, were cultivated mainly for the production of arrack. The French governor brought in additional workers from India and slaves from various parts of Africa to work in plantations and newly setup sugar factories of Isle de France. Sugar production soon generated great wealth and even today the sugar sector industry is one of the pillars of the Mauritian economy. On several occasions Isle de France faced threats of starvation, whether under Dutch rule or during the French settlement. Governor de La Bourdonnais took the initiative to introduce and cultivate cassava (Manihot esculenta). He brought cassava plants from Brazil which he visited earlier. Maize was also cultivated and alongside cassava they constituted the staple food of the population which significantly reduced the risks of famine. Port Louis harbor was engineered into a major naval base; equipped with the latest technological know-how prevailing at that time and supported by the expertise of Indian, Malagasy and African free workers under the command of French administrators. Shipbuilding and ship repairs facilities were important activities in the port and some newly built ships came out of the dry docks. Navigational aids and other related services were also provided to ships calling at the port of Isle de France. Buoys, regular dredging of the harbor and trained pilots facilitated ships entering through the narrow channel at the head of the port for berthing. Ship supplies and crew change services for incoming French ships were provided through a marine bureau. Governor de La Bourdonnais also laid down the foundation of Port Louis town where he built a large hospital to dispense medical assistance to sailors, soldiers and travelers who often got sick after long voyages at sea. His official residence as governor, barracks for military officials, an arsenal, numerous stores and military fortifications to defend the town were constructed. He also encouraged the inhabitants of the island to settle in Port Louis. To facilitate this relocation to the town, he built a church, a market and a theater. Mahé de La Bourdonnais had much grander projects to make Mauritius more than a naval and military outpost to support France’s commercial and military ventures in India. He wanted to build additional quays and depots in Port Louis harbor and transform the port into a busy import and export hub. 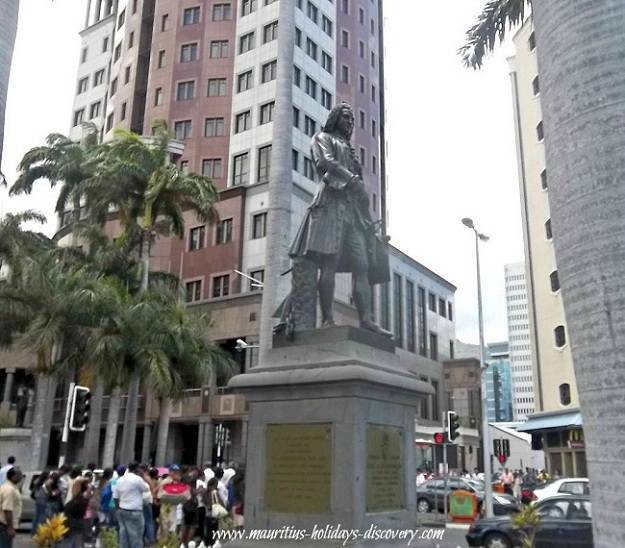 He envisioned Mauritius as a little France with populous settlement of French here and planned to build an impressive fortification near Port Louis where the population could retrench in case of military invasions. The Compagnie des Indes, unwilling to invest vast amount of money in the colony, rejected most of his projects. After more than a year-long leave to France, the governor returned back to Isle de France in 1741 and from here earnestly led military expeditions against the British in India. He recruited soldiers, workers, slaves and armed squadrons to support French troops who were defending Pondicherry and Madras. De La Bourdonnais also fostered ambitions in making Isle de France, besides being a foremost economic success, a key military and political player in the region; mainly to counterattack British activities in the Indian Ocean. His allegedly authoritative administration, his influence with the royal government in Paris and his military successes in India earned him many enemies. The governor left the island in 1747 after his successor, Félix Barthelemy David, carried out an inquiry following allegations of his mismanagement of the affairs of the colony. Governor David did not find any irregularities. Pondicherry’s governor Dupleix, who had to rely militarily on and second tenacious Mahé de La Bourdonnais when the town was under siege, plotted against him. His enemies accused him of taking bribes from the British not to raze but ransom Madras. Later he was arrested in Falmouth, England as a prisoner of war. He was liberated, nonetheless, due to his integrity when he negotiated the release of Madras following the capitulation of British governor Morse and after promising, henceforth, not to attack British interests. Imprisoned at the Bastille in France for almost three years, he was subsequently exonerated of all accusations and freed. The disheartened ex-governor of Isle de France died on 10 November 1753. He was aged 54. SELVON, Sydney, “A Comprehensive History of Mauritius”, Mauritius, 2001.